Frank is the Independent- Labour MP for Birkenhead. He served as Minister for Welfare Reform between 1997 and 1998 and led an independent review into poverty and life chances in 2010. Frank was Director of the Child Poverty Action Group between 1969 and 1979, and in 1974 he worked as Director of the Low Pay Unit until 1980. In September 2013 Frank wrote to the Prime Minister expressing his concern that food banks were becoming ‘an institutional part of our welfare state’, and called on him to launch a public inquiry to help build an effective antipoverty strategy for families who draw help from their local food bank. 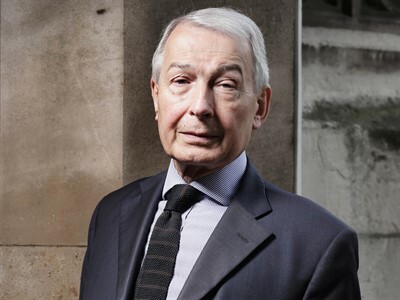 Frank helped set up the All-Party Parliamentary Inquiry into Hunger in the United Kingdom, and submitted its first pieces of evidence on long-term trends in household income and expenditure.